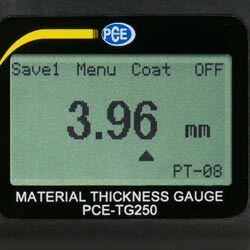 The PCE-TG 250 thickness gauge is an ultrasound device which is easy to use and ensures an accurate measurement of the material thickness. 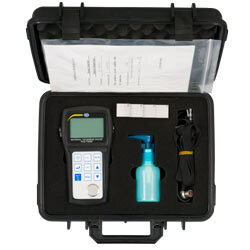 Sound velocity can be adjusted for this device, which makes it an ideal device to measure different materials like steel, aluminium, glass and standard plastic. This thickness gauge can take measurements of tanks, tubes and other materials that are covered. It is a very versatile device thanks to its small sensor head which makes it possible to take measurements in places that are enclosed or that are difficult to access. This device, without a doubt, surpasses other conventional thickness gauges. It is ideal for the use in quality control and for taking measurements without causing damage to the surface layer of the object that is measured. 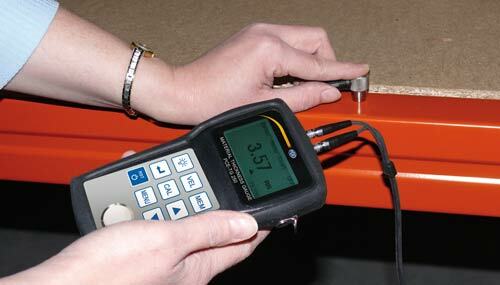 It can be set quickly to measure material thickness as well as that of coating thickness. If you have any questions regarding this device, please, contact one of our technicians. This link shows all types of thickness gauges we have available to suit your needs. The standard kit includes a tube of coupling gel. If you are aware that you have to perform many measurements you can order more gel from us. We recommend that you use the coupling gel to improve the contact between the sensor head and the object that is measured to protect the surface of the object from the sensor. 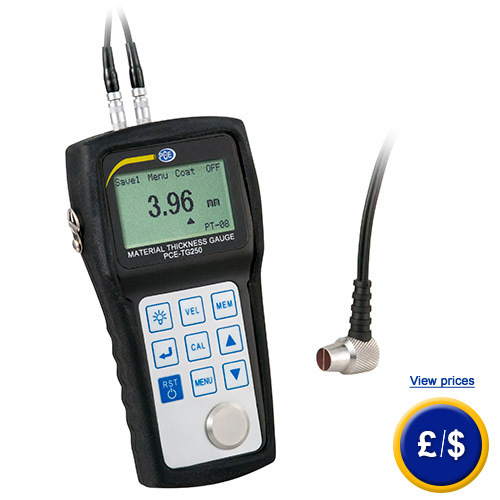 For companies that wish to include the thickness gauge as one of their internal tools or for annual recalibrations.